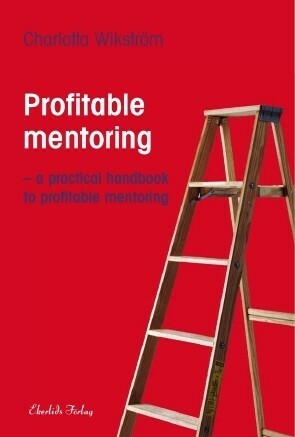 Profitable Mentoring is a practical handbook about mentoring intended for mentors, mentees, project managers and consultants. By adopting an easy-to-follow teaching technique, Charlotta Wikström describes how to plan, carry out and follow up a mentoring program in a structured way in order to achieve the best possible results. The author also provides concrete suggestions for topics of discussion between the mentor and mentee, as well as recommendations for application forms, templates and evaluations. Mentoring is a method that combines development with corporate advantages. Most companies and organizations today have internal or external mentoring programs for managers and key employees. Given todays escalating demands for mentors, Profitable Mentoring is an excellent tool for new mentees and mentors. Profitable Mentoring has been used for several years in many different mentoring programs as a handbook and inspiration. A few of the companies that apply the practices described here include Investor/Novare, Mentor4Research, Stockholm University, Marknadsföreningen, the network Q80, Mannheimer Swartling Advokatbyrå and Nordeas mentoring program for women executives.